It is the job of the Worcester nursing home abuse and neglect attorneys of Nursing Home Law Center LLC to represent the needs of the many victims of negligence and abuse in the greater Worcester area. We are also committed to helping prevent abuse by helping you detect the early signs of mistreatment and reporting which facilities have a history of providing poor treatment. In an effort to help you make more informed decisions regarding the placement of your loved one in a home, we have compiled the data below directly from Medicare so that you know which nursing centers to avoid. Medicare releases information every month on all nursing homes in Worcester based on the data gathered through surveys, investigations and inspections. According to the federal agency, surveyors found serious violations and deficiencies at nineteen (34%) of these fifty-six Worcester nursing facilities that led to residents receiving substandard care. If your loved one was injured, abused, mistreated or died unexpectedly from neglect while living in a nursing facility in Massachusetts, your family has legal rights. We invite you to contact the Worcester nursing home abuse & neglect lawyers at Nursing Home Law Center (800-926-7565) today to schedule a free, no-obligation case evaluation to discuss a financial compensation lawsuit to ensure you receive monetary recovery for your damages. Worcester is often referred to as the Heart of the Commonwealth because of its central location in the state and proximity to Boston and Springfield. It is a center for medicine, research and development, manufacturing and technology. The largest employers in the area are healthcare and biotech companies and colleges. Of the city’s 181,000 residents, 11.7% are seniors and there are many more seniors living in the smaller cities that surround Worcester. Seniors who are looking for ways to remain active or assistance with transportation or nutritional needs can take advantage of programs offered by the Worcester Senior Center, located only a mile from City Hall at 128 Providence Street. For more information about the fitness programs, social events and assistance programs that are offered, you can call (508) 799-1232. Our Worcester nursing injury lawyers have gathered the information below using the Medicare nursing home compare tool, which rates nursing centers on the services they provide and their ability to meet the needs of patients. 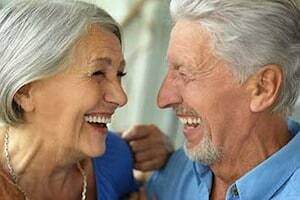 We’ve chosen to focus only on the lower rated facilities, so if you would like to see how another facility not listed rates, you can access the tool by visiting https://www.medicare.gov/nursinghomecompare. Primary concerns: Minor understaffing concerns may be to blame for a health inspection record with numerous blemishes. A low health inspection score means that patients at this facility may be at an elevated risk of developing infections or other diseases, being injured in trip or slip accidents or due to other environmental hazards. Primary concerns: Mediocre quality measures and an abhorrent health inspection history are the drivers of this facility’s poor score. The quality measures rating assesses the willingness and ability of staff members to tend to the individual needs of each patient and a lower score means that some patients may not receive care tailored to their concerns or conditions. Primary concerns: This nursing center has received fairly average ratings in all areas except for health and safety. Numerous deficiencies have lowered its health inspection score and impacted its overall rating as a result. Primary concerns: A one star quality measures and health inspection history rating indicate that providing quality care to patients is not the priority for this nursing facility. Mild understaffing concerns could be the root of the issue, as the staff received a mediocre “average” rating. Primary concerns: Once again, lacking quality measures and a horrible health inspection rating are at the heart of a one star rating. Primary concerns: Despite a five star quality measures rating and average staff, this facility only received two stars. This is because of a health inspection record loaded with violations. Primary concerns: This facility received only one star for its health inspection history and suffers from minor understaffing concerns. Primary concerns: Severe understaffing and health and safety violations raise some large red flags for this facility. It is one to pass on when searching for the right home to place your loved one in. Our Worcester nursing home injury lawyers are happy to help you investigate any suspicion of nursing home negligence. We always tell our clients to search for definitive evidence or changes that may indicate poor care or abuse. These can include sudden changes in weight, the development of infections or bedsores, a sudden change in behavior, bouts of anger or depression and the presence of marks, bruises or other physical symptoms of abuse. Most of our clients know something is wrong simply by the fact that their loved ones go through a sudden change in personality or health without any valid explanation. Nursing Home Law Center LLC has helped people across the entire country pursue justice when nursing homes acted in negligent or abusive ways toward their patients. If you feel that your loved one is a victim, you may be entitled to recover compensation for the treatment of any injuries, the pain and suffering your loved one has experienced and the cost of relocation to a more appropriate home. Contact us today to arrange a free consultation with one of our award winning Worcester nursing home abuse attorneys. We will gather all of the information we need to perform a detailed investigation so that we can get to the root of the issue and determine what legal options are available for you. Since we work solely on a contingency basis, you are assured that you will never be required to pay any fees upfront and we will only accept payment after we secure compensation on your behalf.